I was so moved with this letter that I instantly went teary-eyed. I suddenly remember that I need to be strong, I need to be healthy, and I must not be weak for my Carlisle. 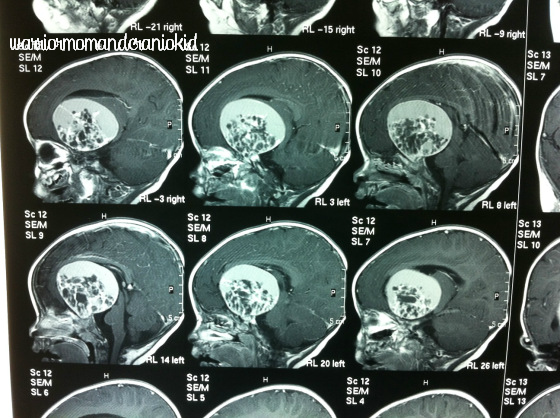 MRI image last March 2013, showing craniopharynioma tumor in Carlisle’s brain with the size as big as a pingpong ball. 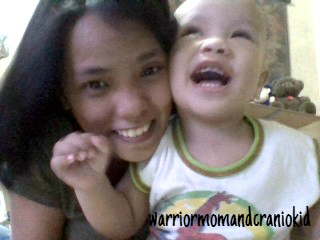 We’re on our seventh month of surviving Craniopharyngioma. I keep on praying and thanking God that my Carlisle still is doing good, unlike to those I have read before when we were in the hospital about the post operation effects of this tumor. Some experience numerous seizures and blood clots months after the operation. MRI Results Are Out! We Have Happy Holidays Indeed! So here’s an update regarding my last post, ‘UPDATE: MRI Finally!‘ If you were able to read it, Carlisle Von Patrick underwent his follow up MRI procedure six months after his brain surgery. This is to check how is 20% tumor going on inside his brain. So here’s are the images of the most happiest result 2013 had given me.